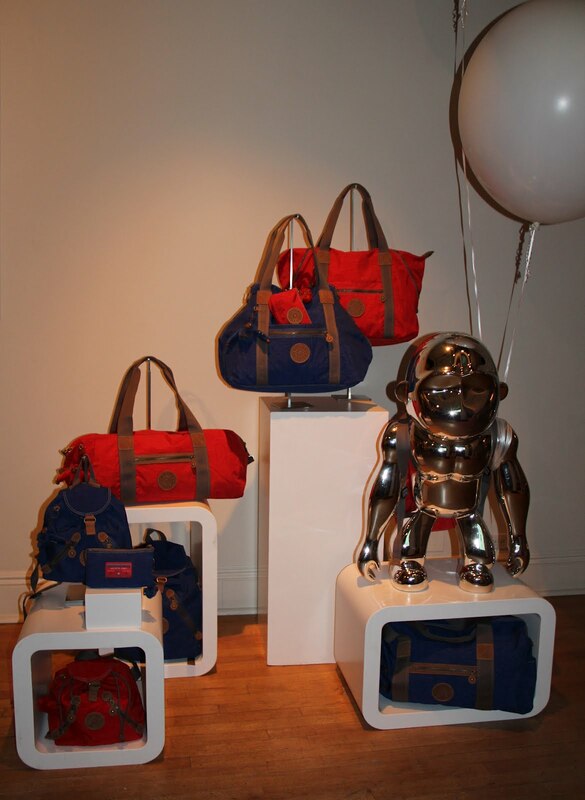 On Wednesday, March 7th, I attended Kipling's 25th anniversary party at Helen Mills at 137 West 26th Street. For the launch of the global art project, "Play With Bags," Kipling unveiled the US photographic works of art from the Classics Collection. Eight artists from around the world were chosen to craft their own work of art out of Kipling's ultra-light, iconic nylon bags and photograph their projects. The "Kipling Classics" collection highlights key styles and customer favorites, including the Fundamental backpack, Art tote, Siras duffle and Creativity pouch in shades of tangerine and electric blue. Shop the collection at kipling-usa.com. American fashion photographer, Paul Graves, showed his love for the brand by recreating his life-sized photograph of a modern interpretation of a totem pole. Other Play with Bags photographs on display include those by Vincent Gapaillard and Prince Lauder of Mexico. Learn more about Kipling's 25th anniversary at 25yearskipling.com.